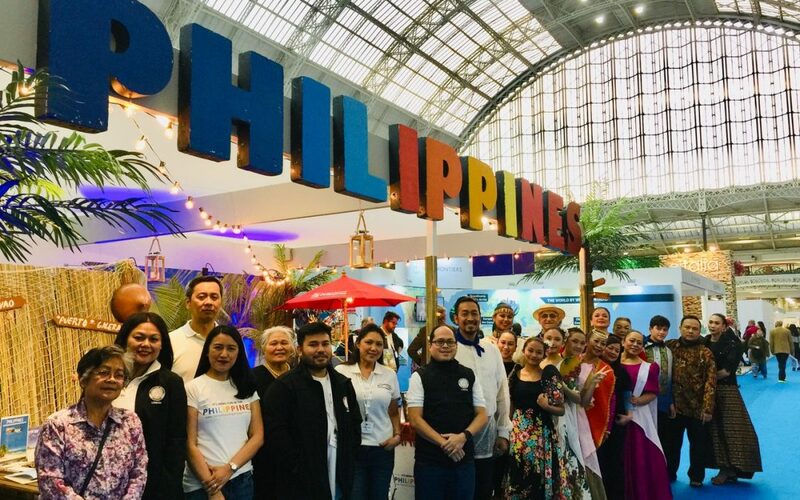 The Philippine Department of Tourism (PDOT) London participated at the Destinations : The Holiday and Travel Show in association with The Times and the Sunday Times held last Jan 31- Feb 3, 2019 at the Olympia London in West Kensington. The annual show is the UK’s largest consumer holiday and travel event participated by large international travel industry players. The show allows tour operators, tourist boards, hoteliers, airlines and travel experts to all be in one roof. Consumers annually look forward to attending the shows as it is known for offering the best packages and travel deals for their next holiday adventure. 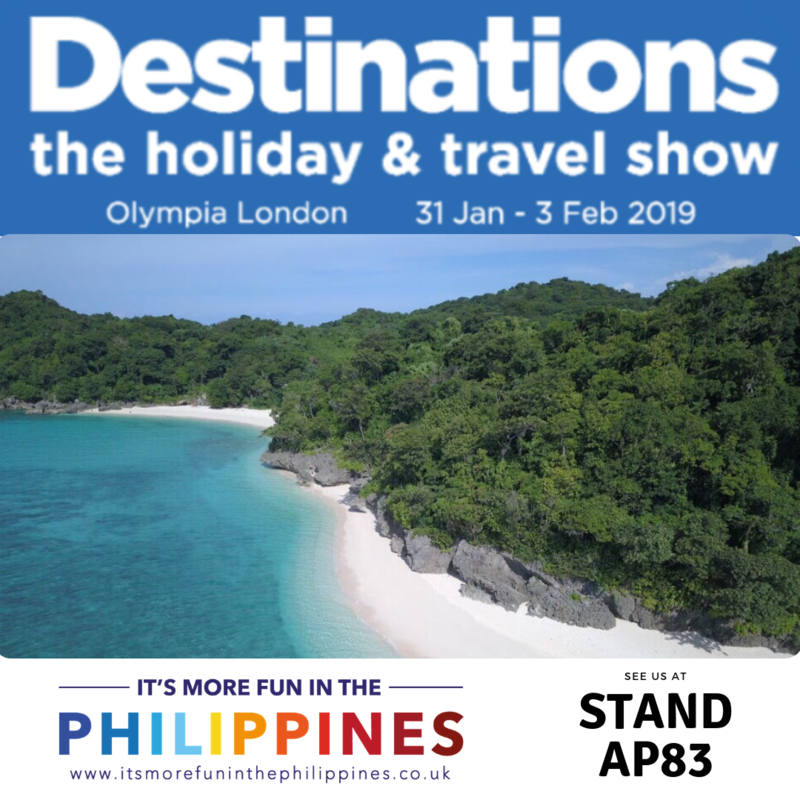 PDOT London gave instant prizes and a chance to win a holiday to Manila, Cebu, Bohol and Palawan courtesy of its partner sponsors namely, Sharp Travel, Plantation Bay, Bacolod Beach Club and Baron Travel which was drawn on the last day of the show. It has been observed that attendees to this show have an average gestation period of about 12 months before making a successful holiday booking. Generally attendees to this show are annual long-holiday travellers guaranteed to make that destination booking. Giving opportunities for post event persuasions and targeted marketing campaigns for the show participants. 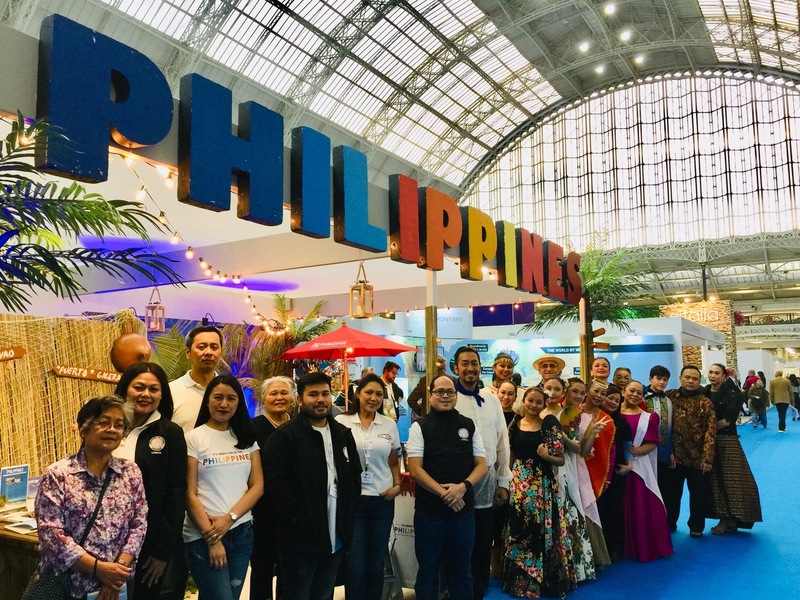 Despite the high competition with other destinations, PDOT London ensured high retention of the Philippines as an ideal holiday destination within the very captured global audience by showcasing its traditional dances, culture and music led by Lahing Kayumanggi Dance Company at the “Experience the World” entertainment area. 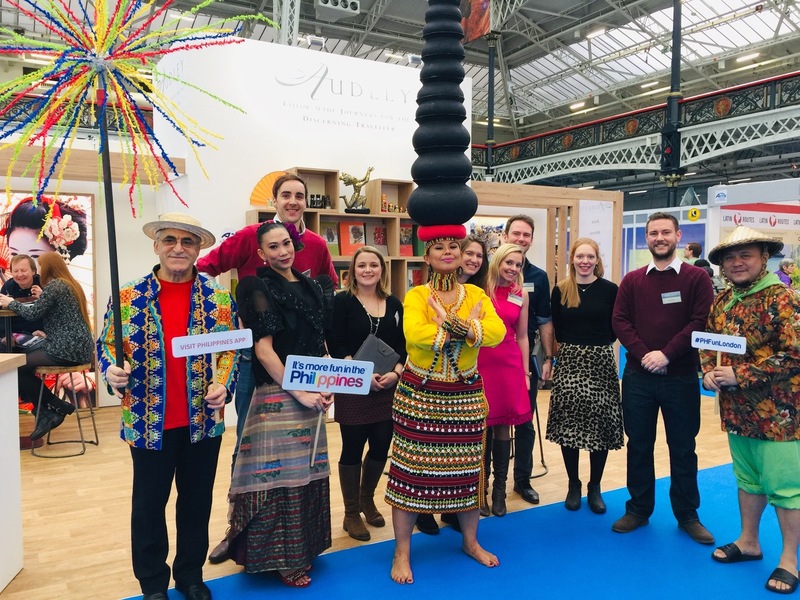 This was followed with more dancing and entertainment at the Philippine stand AP83 that truly showed the Filipino spirit to make people say why it really is more fun in the Philipppines.